Most of our products are available in several wood finishes and fabrics, we can even have the wood stained to you own wood sample and have the seat covered in your own fabric for a small extra charge. 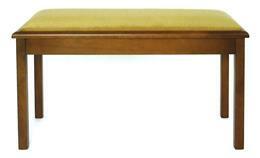 Are you looking for budget piano bench or good quality solo piano stool or piano bench then this is the place to start. 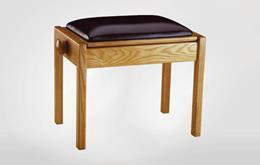 We offer a large selection of british and italian made piano stools and piano benches made to order. You can choose from a large selection of wood finishes and fabrics to suit your specific requirements. Do you want a piano stool or piano bench to play duets with your partner or piano teacher, then take a look at the variety of duet piano stools with music storage that we have to offer. You can again choose from several fabrics and wood finishes or even have the wood stained to your own match for a small extra charge. Is your piano stool / piano bench to high or too low? Why not invest in an adjustable piano stool to ensure you are seated in the most comfortable position when peforming or practicing the piano. No need to use the dining room chair any longer. 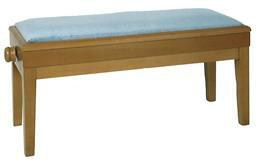 We can even cover some of our range of piano stools and piano benches with your own fabric. 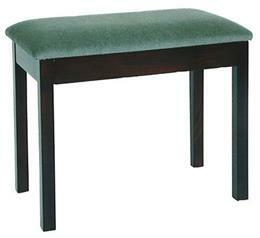 Do you need an adjustable piano stool / piano bench so you can change the height? 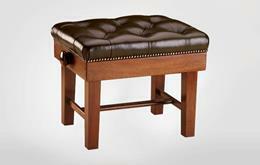 Well you can now with our selection of duet adjustable piano stools and piano benches. You can even buy a teacher adjustable duet piano stool / piano bench that allows you to set the height of each players cushion to the optimum height for each performing artist. This is the place to be if you are looking for the best quality concert piano stools made to order. With a choice of several leather hide tops and a large selection of wood finishes you will not find a better piano stool / piano bench. These are for the most discerning and accomplished pianists. 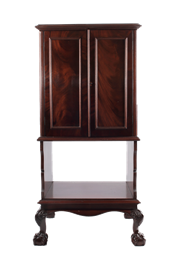 Looking for something a bit special to hide away all that manuscript, click here to view our range of new and antique music cabinets.